You might think that a first world country like the UK wouldn’t have issues such as dehydration, but you’d be wrong. In fact, a report by the National Health Service in 2013 showed that over 42,000 deaths were the result of not drinking enough water. Not only does it affect adults, but also children who lead very active lives in class and on the field. While dehydration might occur because of people’s reluctance to drink water, not providing access to H20 also exacerbates the situation. As the manager of a facility, it’s therefore your responsibility to ensure that people have adequate access to water. One simple way of doing so is to strategically install drinking fountains in and around the premises, which can promote more consumption. But how do you decide the best drinking fountain for the people who frequent your facility? Is it as simple as buying an average product and installing it by the entrance? Not quite, so we’ve compiled some advice you can follow to choose the best water products for you. What is the age group of occupants and visitors? Before choosing a drinking fountain, you must assess your target’s age group. This is because water products come in a variety of designs and dimensions, and you want to get the right fit. For example, pre-school pupils have to be able to reach the spout in order to drink water. If they’re unable to do so, less will make use of it. Apart from that, certain aesthetics might be more attractive to one age group and not the other. 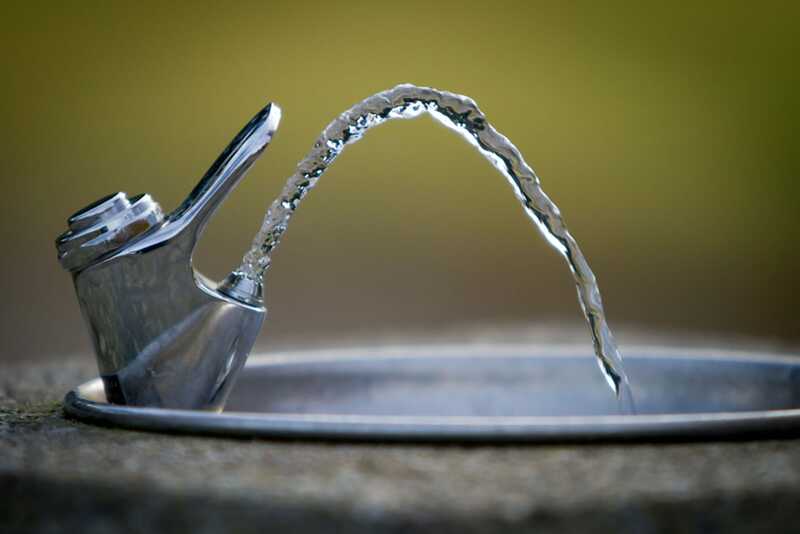 Children might find plain fountains undesirable, which will affect their decision not to drink from it. The same goes for an art gallery or park frequented by adults. In such an instance, you might have to choose a product that complements the aesthetics of your environment, as you don’t want a fountain that is too much of an eyesore. Where is the most traffic in your facility? If you want to install a drinking fountain at every corner of your facility, it’s advisable to choose models according to the frequency of traffic. By choosing according to this criteria, you can enjoy lower utility and management costs. This means you need to assess the traffic in areas you want to install your fountains. Places less frequented may require products that offer a low water flow per hour. If you’re not too familiar with the term, it’s basically the quantity of water a drinking fountain can keep chilled in 60 minutes. High traffic areas might need fountains with up to 30litres per hour to provide a continuous flow of cold water. Is the area frequented by disabled people? Drinking fountains should be installed in a manner that allows most, if not all, people to access it. If your facility is open to the public, you might just be required to also provide a drinking fountain that can be used by disabled people. If none is available, you can order a custom product to cater to everyone. Apart from these aspects, you must also think of factors such as whether the product is going to be wall mounted or freestanding, as well as your own budget. Luckily, there are drinking fountains that will cater to your specific needs, meaning you can promote adequate hydration stress free.